The pinnacle event for most sports is the world championships – for an individual a position to represent your country against the best in the world, for a team – the opportunity to cement yourself as the number one organisation. 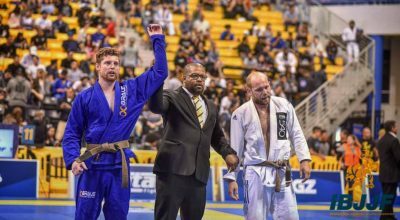 At the start of June I was afforded this opportunity at the International Brazilian Jiu Jitsu Federation (IBJJF) World Championships held in Long Beach, California. This was my first time on the world stage, and although I had competed internationally before, it was a totally different experience. The atmosphere was truly electric. Athletes from all corners of the world had flocked to test their metal and strive to become the 2017 world champion. I competed in the brown belt middle heavy weight division (194.5lbs/88.3kg) weighing in at a respectable 185lbs/84kg . I had decided not to cut weight to the division below because I knew that way at least I would sleep better and could enjoy all the American cuisine my stomach could handle (M & M world deserves a blog post on its own!) . Generally I get quite anxious before competing but this time I wasn’t feeling the pressure as much – I figured what is there to loose. My primary goal was to make the event a positive experience irrespective of the result. It wasn’t until the morning of the competition that the butterflies kicked in. Fortunately I was able to compose myself and remember the goal of the experience – to enjoy it, the results will look after themselves. Being a full time physiotherapist, it was always going to be a tough tournament against full time athletes. I get to train 3-4 times per week, for a couple of hours at a time at Absolute MMA St Kilda under Lachlan Giles. Along with this I lift weights 4-5x per week, and do Pilates twice per week. So in total my training consists of around 8 hours of technical training and 6 hours of strength and conditioning per week. My opponents are full time athletes generally clocking 20+ hours of technical training and around 10 of strength and conditioning, so essentially double. In saying that, leading up to the tournament I was able to train at some high level clubs whilst in LA and Vegas and performed well against comparable level athletes- this gave me confidence leading into the event. Now for the all-important result; the result is that I achieved my goal – I had a great time. I wasn’t too nervous, I was able to execute my strategy and I left with a positive experience. I won my first two bouts via submission and lost my third which placed me into the final round of 16 resulting in an equal 9th placing at the world championship. A result that had I have known before going in I would be infinitely happy with. Upon reflection, I feel as though had I have made a couple of different tactical decisions I may have been able to go even deeper into the bracket – but alas, hindsight in 20/20 and I am very proud of the result. I believe it is most definitely possible to become a world champion AND work full time. It comes down to a matter of prioritising time, and optimising your training. I would like to thank the PSM staff for their ongoing support to my endeavours and would encourage anyone who too is looking to take their training to the next level, or is being held back by an injury due to martial arts or otherwise to drop in and have a chat. Who knows what you too may be able to accomplish with the right team around you.